Every person who carries a book bag, backpack or briefcase on a regular basis knows the problem. You have a full load of books, for example, and then try to zip the bag closed. Yes, it happened again, the seams bust, making it impossible to close the bag. Similarly, one day, you pick up the bag and notice a hole in it. That explains what happened to those items you lost when out in town. It seems as if the major backpack manufacturers could care less about the issue. They keep making inferior quality bags. Either that, or they are content to have consumers make multiple replacement purchases per year, which is often the case. Well, Mat, founder of M-24, decided to change things. He went on a research and development spree, trying all types of materials to create a bag that could handle oversized loads. Eventually, he settled on canvas taken from truck drapes. 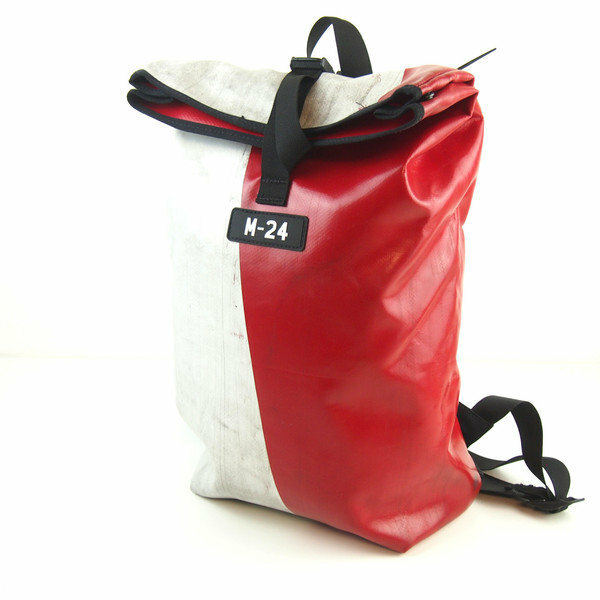 M-24 now produces these resilient bags for retail sale. They are environmentally-friendly because the company recycles unused truck drapes. M-24 clients know they receive a bag that is of the highest quality because the company ensures they create each one in their United Kingdon factory by hand. Responding to the public, the company expanded into other markets. Now, they manufacture and sell backpacks, duffle bags, and laundry bags. The best way to place an order is to visit the M-24 online store. There, one can find the full product line available for purchase. The days of busting seams are now over.